How to get rid of acne and pimples? The Ultimate Guide. Differences between acne and pimples. Causes of Acne and pimples. Home remedies and natural cures. How do I get rid of acne and pimples? — many souls on earth are desperately looking for an answer to this question. One little pimple is more than enough to welcome unwanted fears and worries in us. Right? Women like you and me are simply sick and tired of these skin eruptions that cost us a lot of time & energy and, most of all, the soft and supple texture of our beautiful skin. It’s not only a matter of beauty or vanity, but it’s more about skin care. Our skin demands proper care & attention, and when we fail to cater to its needs, we are then affected by all sorts of skin problems including acne and pimples. Let me also tell you that acne and pimples are not as scary as you might apprehend, provided, you deal with it the right way. So join us in this journey and lets fight against acne and pimple together. Time to get rid of acnes and pimples! Acne, medically known as acne vulgaris is an eruption on the surface of the skin due to the excess of oil or sebum in the sebaceous glands. Dead skin cells and bacteria get mixed up due to the sticky oil and block the pores of the skin which later results in bumps and blisters. Pimple is very similar to acne and this is also caused due to the excess of oil on the surface of the skin. Both acne and pimple belong to the same family. Acne is the next stage or serious version of a pimple. Pimple develops into acne if untreated. Appears as redness or inflammation on the surface of the skin. Pimple appears more so like a pustule, blackhead or a whitehead. There is an acute pain with acne. No severe pain. Leaves behind a scar. No such scar is left behind. Having known the differences between acne and pimple, you ought to know their causes. Unless you know how it is caused then it becomes difficult to find a solution to get rid of acnes. As mentioned earlier, acne and pimple are caused mainly due to the excessive secretion of oil or sebum in the sebaceous glands. Now that you know it’s all because of “oil”, you should also be aware of the reasons due to which there is an excessive secretion of oil, thereby acnes and pimples. Once you know how to reduce this excessive oil secretion then you can easily reduce the occurrence acnes and pimples. Puberty is the first episode of hormonal change in a person’s life. This is the stage in which both boys and girls move to their adolescence. Like girls come off age there are also certain changes seen in boys like the change of voice and facial hair growth. It is during this stage that the sebaceous glands get activated in your body. These glands start to secrete oil due to the hormonal change that has happened in your body. The excess oil comes out of the facial pores and appears like a blister or bumps on the surface of the skin. Studies show that people falling between the age group 13-30 mostly get affected by pimples that later turn out into acne. All this is because of the hormones that are secreted by the adrenal glands in both boys and girls. The food that you eat has a greater impact on your health and beauty. Acne and pimples tend to get worse by the diet that you take. Junk foods like pizzas, burgers, French fries and foods that are deep fried in oil are one main reason why you cannot get rid of acnes and pimples. The excess oil content in your food is released through the pores in your skin resulting in acnes and pimples all over your body like face, shoulder, back, and neck. Unless and until you stay away from such unhealthy foods you can neither reduce acne nor get rid of it. Fresh fruits and veggies should be a major part of your daily diet. When you are already affected by acnes and pimples it is better that you stay away from beauty products at least till you bring your skin problems under control. Most makeup products tend to have oil content in them which worsens acne and pimple. But if you can’t help using beauty products, choose ones that are oil-free (“non condemic”) and make sure that you remove your makeup before you got to bed. There are foundation creams that are exclusively oil free available in the market. You can probably choose loose powder foundations that are free of oil base. 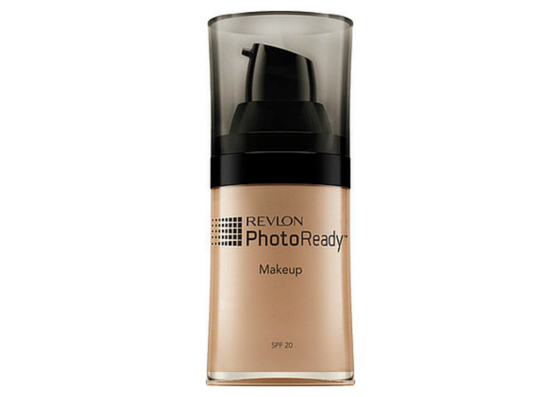 Revlon Photo Ready Makeup Foundation would be the best choice for airbrushed skin and the best part is that it comes along with SPF-20 that protects your skin from the sun. People under treatment for acnes and pimples, you should stay away from the sun. Hormonal change is yet another reason why you might be suffering from acne and pimple. When your acne prone skin condition doesn’t respond to topical applications like gels and creams, your dermatologist may advise you to take few hormone level tests to find out the right solution to treat your irritated skin. If hormones are the reason behind your acnes, then find out the time when your acne is at its peak. For instance, menstrual cycle period and ovulation period are times when women get affected by acnes. Studies say that during this period acne breakouts will be at its peak. Acne that arise due to hormonal changes can be found on your cheeks, forehead and jaws. Few women get acne breakouts a week before their menstrual cycle and also during their pregnancy period. Such acnes are called “adult acnes”. Surprisingly, constipation is also one of the reasons for acne and pimple breakouts on your skin surface. Keeping your intestine clean is not only necessary for your physiological well-being but it is an equally important aspect of skin care. And that is the reason why you should add a lot of fiber rich food, fresh fruits and vegetables to your daily diet. Studies have shown that stress and anxiety is one main reason why acne becomes worse. Dermatologists say that acne breakouts become serious when you pressurize your mind with stress and anxiety. Though this theory hasn’t been supported with proven evidence, you can still prevent yourself by staying calm and composed. Proper hair care to reduce acne and pimples? Yes, you got me right! Dermatologists say that when your hair comes into constant contact with your facial skin you might risk yourself of getting acnes and pimples. Your hair is prone to dirt and pollution in the environment in which you live. When you fail to take proper care of your hair you might get acnes most probably on your foreheads. This infection may spread to the rest of your face. So regular hair wash is a must to prevent and reduce acnes. To be on the safer side, cover your head with a shawl to escape from pollution. Skin care experts advise that people undergoing acne treatments should stay away from the sun since the heat of the sun aggravates the redness and the inflammation of the skin. Under such circumstances, you can consult your dermatologist to suggest skin friendly sunscreen lotion (SPF 30 and above) available in the market. Check for “non-condemic” or “non-acnegenic” for oily skin and acne prone skin. “Non-condemic” means oil free. Cover your face with a shawl to escape from sun and pollution. Once you have found out that you have an oily skin, keep washing your face at regular intervals. Use oil free face washes since they are milder than soaps. 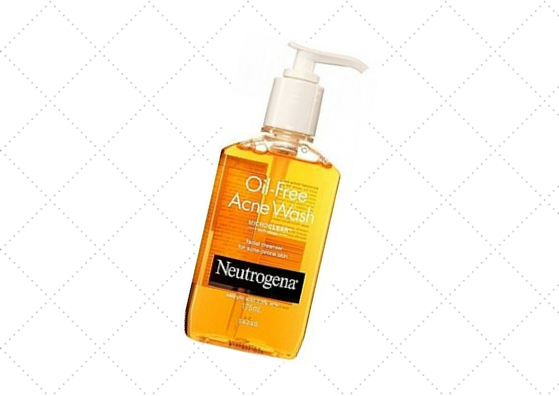 Neutrogena face wash seems to be the best in the market for acne prone skin and it is recommended by users themselves. Stick to one single product and wait for the results. Regular Exercise! When you exercise you obviously sweat and when you sweat the unwanted dirt in your body gets released and when you exercise in the morning, your skin is exposed to Vitamin D which is very vital for a healthy skin. It is necessary that you keep your hands clean. When a dirty hand comes to contact with your face it worsens your skin condition and the cure gets even more prolonged. Eat lots of fruits and vegetables. They have a lot of vitamins and minerals that are necessary for a healthy skin care regime. They also help cure constipation. Regular hair wash is a must if you are fighting acne and pimple. Keep your hands clean while applying gels and lotions. Dare not to touch your pimples and acnes. It will worsen and aggravate your skin breakouts. Your touch will be the greatest sources of infection for your acnes and pimples. Avoid junk foods and oily foods. Don’t postpone the meeting with your dermatologist. Meet them immediately once you experience acne breakouts. Don’t scrub your skin too much. You can’t expect immediate remedy for acne. So do not keep trying all the acne products that are available in the market. Just go buy the advice of your dermatologist and do not try what others tell you. Don’t stop the treatment once your acne is gone. Continue till the time period prescribed by your dermatologist. Stay away from beauty products. Say no to anything that is greasy; food or beauty creams. Anything that is greasy is oily. Blackheads · Any bumps or blisters arise due to the combined work of dead skin cells and bacteria which clog the facial pores. · These pores aren’t closed and since they are open dirt accumulates on the pores and appears black in colour. Hence the name blackheads. Whiteheads · When such pores close up, the head of the blister turns white in colour. Hence the name white heads. Pustules · When untreated or contacted by hands, the blisters get aggravated. Yellowish pus forms on top of these blisters. These are called pustules. Papules · Papules are similar to pustules except for the yellowish pus on the blisters. Unlike pustules, papules are hard. Nodules · When aggravated, the bumps spread and go deeper under the skin thus forming a lump under the skin surface. These lumps are hard and painful. Cysts or cystic acne · This is the last stage of acne severity and it is extremely painful. Cysts spread to other parts of the body like back, neck and shoulders. Must be treated only by a dermatologist. Cystic acne is filled with pus. Even after you get rid of you acnes and pimples, there is a scar that is left behind which again needs to be treated with proper care. These scars are of varied types ranging from mild scars to thick ones that arise from the surface of the skin known as keloids. 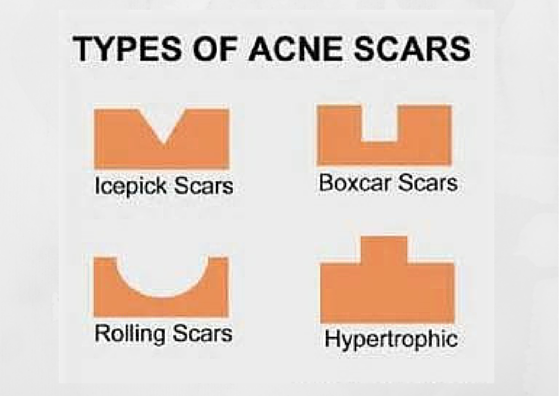 Look at the table below for four different types of scars. Ice Pick scars · These scars are very deep and narrow in nature. · Penetrate through the surface of the skin. · Leaves behind a small hole on the skin. · You have to remove the scar through punch excision. For large areas, skin grafting should be done after punch excision. Boxcar scars · Such scars appear like a round pit on the surface of the skin. · Theses scars are much wider and deeper than Ice Pick scars. · Punch excision and laser resurfacing. Keloid · Unlike, other scars that form pits and holes these keloid scars raise like a blister on top of the skin. · First shrink the scar and then flatten it. Your dermatologist may recommend creams, injections and the like. You have no other choice but to accept the fact that you can neither remove acne and pimples nor can you get rid of them overnight. It requires a lot of patience. There are various treatments and home remedies which help to prevent and in fact, avoids these blisters and bumps from getting infected and aggravated. You can also go ahead and try homemade face packs that exclusively cater to the needs of an oily skin. No oily skin, no acne and pimples. Rose water would be the best remedy to reduce and heal the redness and inflammation of the skin since it has great cooling effects. You can also try rubbing your face with ice cubes for about 10 mins. 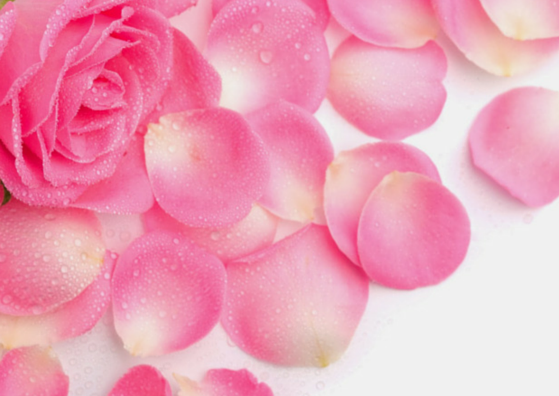 Dip cotton with rose water and gently apply over your skin. Make rose water ice cubes by pouring rose-water in the ice cube trays. Now gently rub them over your skin. Papaya is your skin’s best friend. Mash the fruit and apply over your face or only on the acne and pimple infected area. It removes the dead skin cells and excess oil from your face leaving it soft and supple. Aloe vera is yet another natural home remedy that is recommended for skin care. 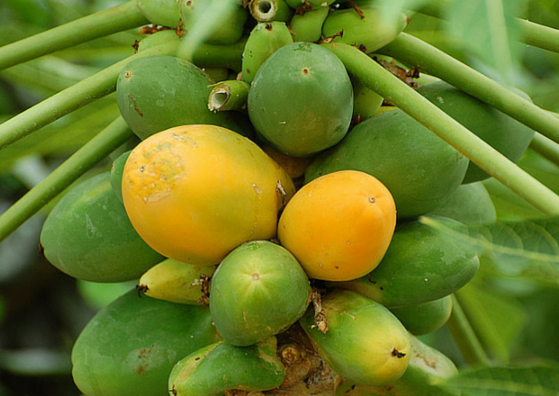 The gel from the plant removes excess oil thus preventing acnes and pimples. Once excess oil is removed then you needn’t worry about pimples that later develop into acne. 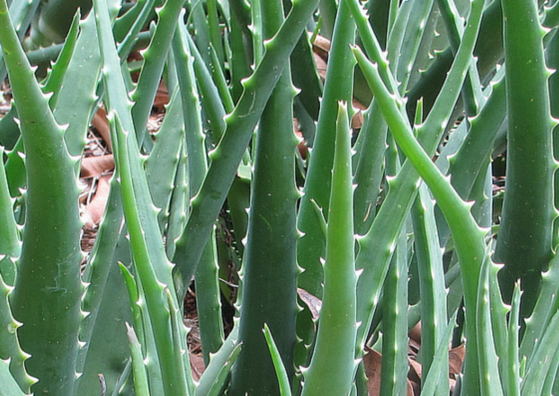 Remove the spiny area using a sharp knife and then split the aloe in the middle where you will find the aloe gel. Now apply this gel on the infected area, preferably all over your face to prevent the infection from spreading. If you can’t get an aloe plant, then you can probably try this aloe gel. Cucumber is known for its cooling effect. 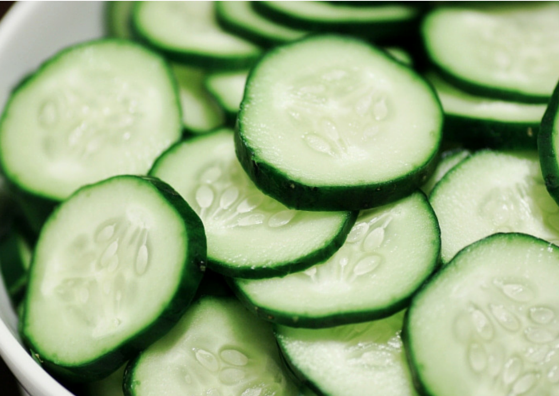 Either cut a thick slice of cucumber and place it on the acne prone area or grate it and use it as a scrub to get rid of acne scars. You can also dip cotton with cucumber juice and apply it generously over your face. Vitamin E helps rejuvenate the skin and brings the infected skin back to life. Choose to apply either vitamin E oil or break open the vitamin E capsules and use the oil from it. Use a clean needle to break open the capsule. Wash your hands before applying the oil on the blisters and bumps. 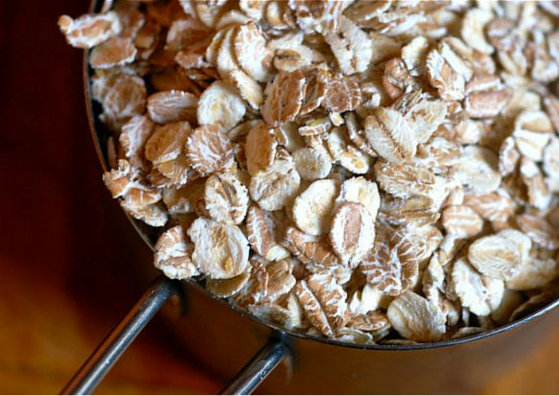 Oats greatly helps remove the oil in your skin and when you use it as a scrub it does miracles removing the acne and pimple scars from your face. Coarsely grind the oats and mix it along with honey. The combination works well as a face scrub. 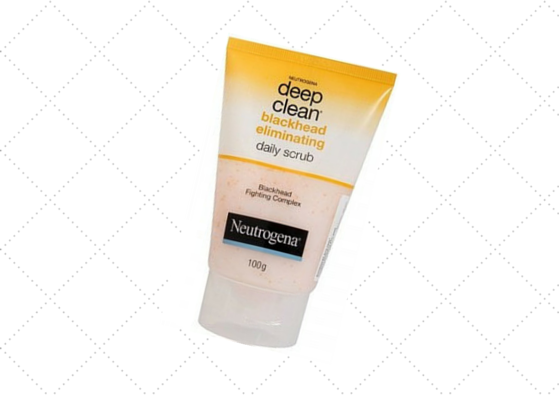 This scrub exfoliates the dead skin cells which is one of the reasons to get infected with acnes and pimples. Sandalwood is the best natural cooling agent that doesn’t have any side effects on your skin. Sandalwood comes in different forms in the market like powder, oil and stick or bark. You can mix sandalwood powder in rose water and apply that paste on the affected area to reduce irritation and inflammation in the skin. If you prefer to use sandalwood stick then rub the piece of wood on a dish until you get a paste out of it. Generously apply that paste on your skin. An all time favourite product used for skin care! 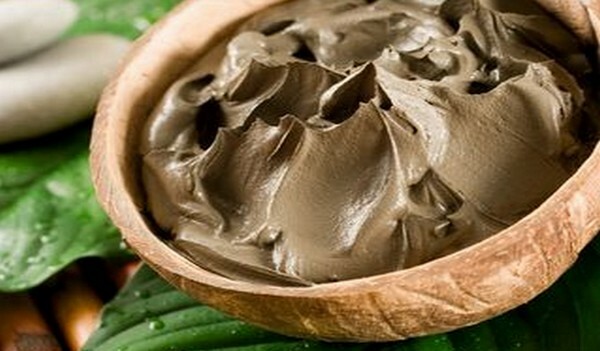 The best part is that multani mitti removes excess oil from your skin and also leaves a cooling effect even after you wash your face. Use it regularly to prevent pimples in the beginning stage itself. When you fail to take pimples seriously, it turns in to acnes that can’t be cured easily. 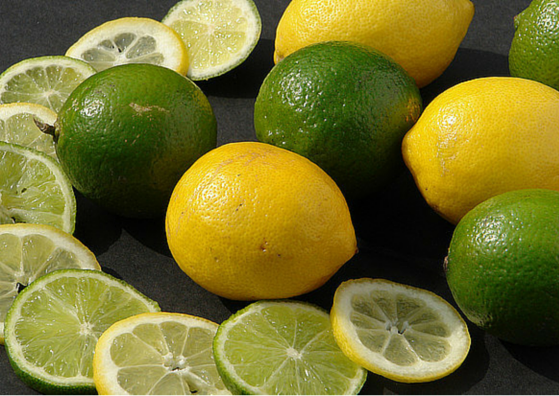 It is said that lemon juice has great healing effects on pimples and acnes. Few drops of lemon juice would do well to cure such skin irritations. But if your skin is allergic to citric acid stay away from it because you can’t take risks with your acnes and pimples. You can use lemon juice along with honey. This combination works well to fight acnes and pimples. Yogurt is also one among the items in your pantry that helps cure acne by preventing oil secretion in your face. Yogurt along with gram flour and turmeric will make a good face pack to reduce oil secretion in your face. Turmeric with all its anti-bacterial qualities kills the bacteria that form acnes and pimples. 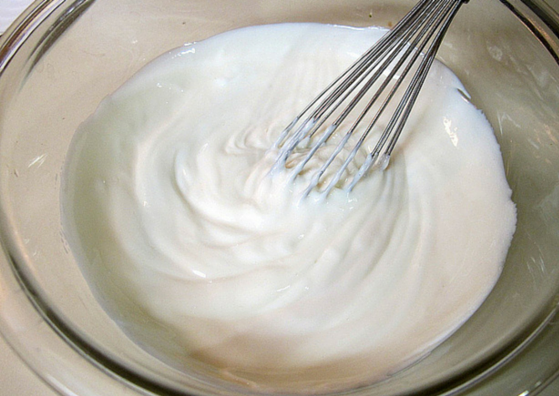 You can also add yeast to yogurt and apply that to reduce acnes and pimples. 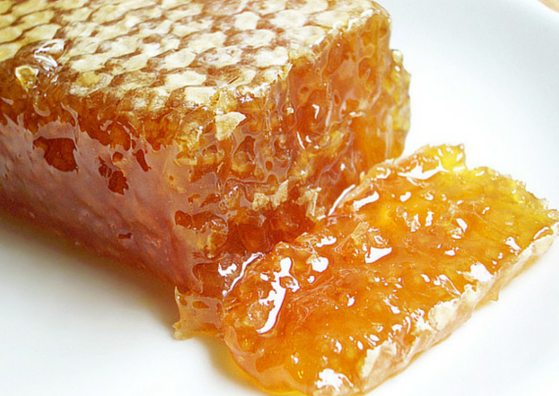 Honey is yet another ingredient that helps reduce and prevent acnes and pimples. Apply pure honey on your face and wash after 15-20 mins. Honey and oats are the best scrub combination to fight against scars left by acne and pimple. Make sure not to use adulterated honey. 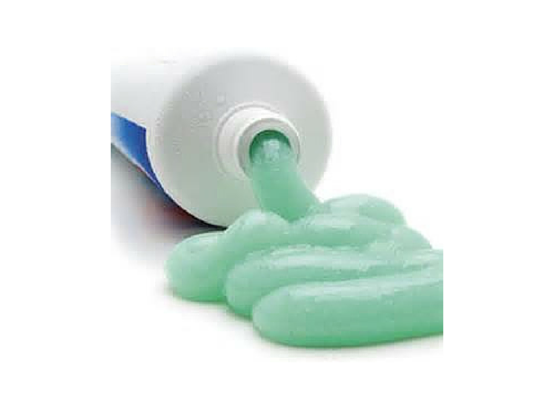 Acne users themselves say that acne and pimples vanish and wither when you apply toothpaste over them. But if you have serious acnes and sensitive skin toothpaste might burn your skin. First-time users, beware of the side effects. It is believed that the peel of an orange and the pulp of a tomato are effective remedies for acne infected skin. The juiciness of the tomato is due to the high water content in them. This water content helps hydrate the skin. 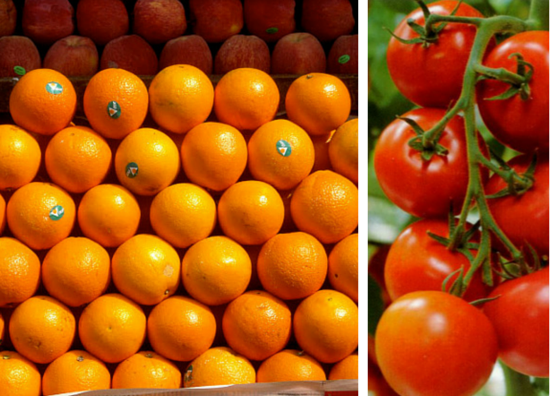 Orange and tomato are acidic in nature and this acidic property combats acnes and pimples. The vitamins rejuvenate the skin making it soft and supple. ‘Home remedies for acne’ is only a part of the acne treatment. Apart from home remedies, salicylic acid and Benzoyl peroxide have been used for a long time in acne treatment and have proven great results. Acne treatments can be of both extremes; over-the-counter products or laser treatment. Pregnant women and nursing mothers should not use both salicylic acid and benzoyl peroxide unless you confirm with your dermatologist or physician. 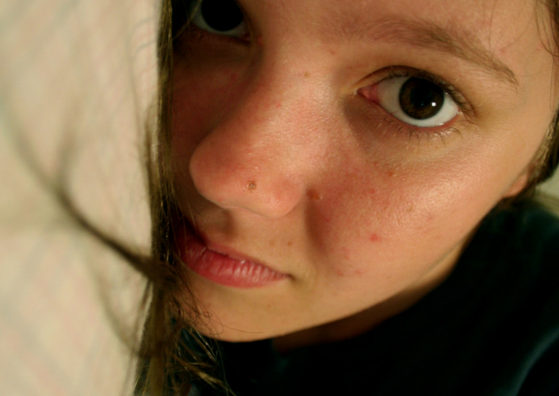 The term “acne” simply doesn’t mean severe skin irritation and inflammation. There are milder cases also. For people with mild or periodic acne encounters, over-the-counter drugs would do well. Salicylic acid is the major composition in these over-the-counter drugs. Salicylic acid helps cure acnes by acting from the scratch. The dead skin cells along with sebum cause acne. This salicylic acid reaches the follicles and attacks the dead skin cells. Due to salicylic acid’s reaction, the dead skill cells wither off. Once the dead skin cells wither or shred the pores becomes empty thereby leaving no room breakouts and infection. Make sure that you use acne products regularly. Regular use alone will yield better results. If you stop the medications midway, the pores will again get clogged further leading to infection. Salicylic acid based products or any acne over-the-counter products come in various forms like gels, creams, face washes, cleansers, pads, lotion and the like. Use any one form of the product. Don’t switch from gel to pads or lotions to creams. This will worsen your acnes and pimples. Do not over exceed dosages. The skin will get too dry and this again will not help cure acnes and pimples. Benzoyl peroxide is again found in over-the-counter acne products and you have to continue using it even after acnes are reduced. When you stop them suddenly, acnes might recover. Bacteria that cause acne infection are active in oxygen rich environment. These bacteria cannot multiply without oxygen. Benzoyl peroxide stops oxygen supply thus preventing the bacteria from reacting with the dead skin cells. Dosages should be taken according to the severity of the acne breakouts. Don’t adjust the dosages according to your preferences. Such combinations are used in both strong and mild acne treatment products. Neutrogena products are simply great to reduce acnes and pimples. You get face washes, cleansers, and other such skin care products that reduce excessive oil secretion in your skin and helps rejuvenate your oily dull skin. There are several acne-friendly products available in the market, but they will have different effects on different skins. So choose what suits your acne best. Apart from salicylic acid and benzoyl peroxide, there are several other drugs like glycolic acid, retin-A etc that have proven positive results to reduce acnes and pimples. It’s always safe to consult your dermatologist before trying any skin care products, especially for acne. Slight changes in the self-treatment method might aggravate the blisters and the cure will be all the more delayed. Always be careful about your acnes and pimples. Acne is no big deal if you deal with it the right way. You have to take your oily skin seriously and find out the ways through which you can prevent oil secretion in your face. Once the excessive oil secretion is brought under control, you can definitely avoid and protect your skin from acnes and pimples. If your acne is caused due to hormonal imbalance then it is highly necessary that your start your medication under the guidance of a physician. Your skin is so precious and it deserves a lot of love and affection. So give it your best care and treatment that it deserves and say adieu to acnes and pimples. Acne, getting cured or worse, depends on how you treat it. Your acne is in your hands! !